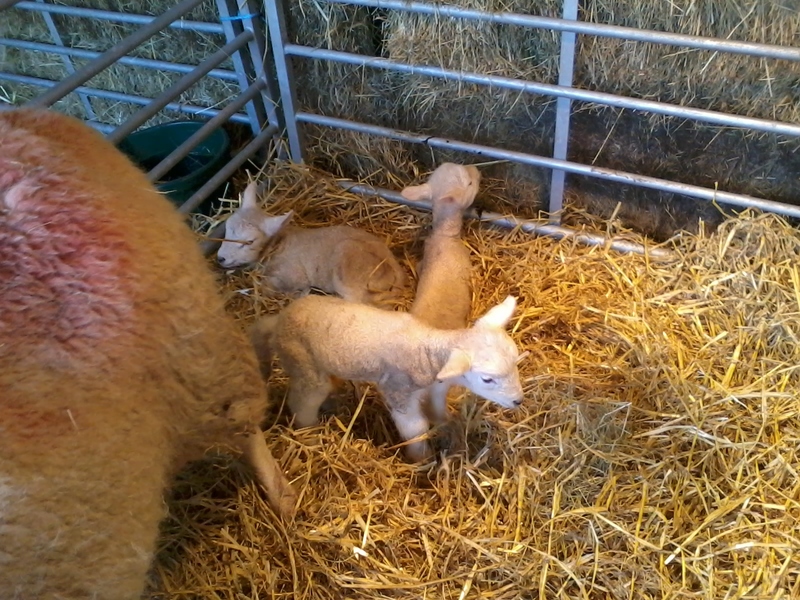 We have some more lambs! 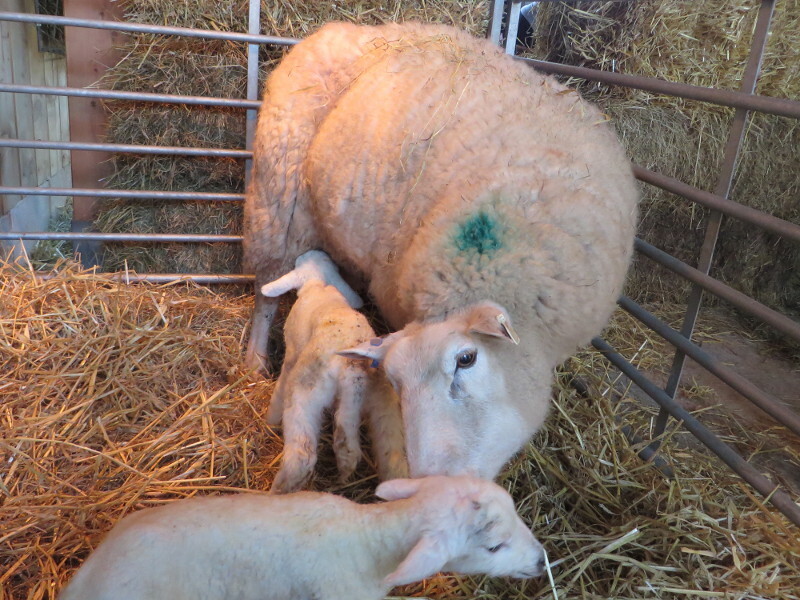 Our other Lleyn Ewe has today given birth to TRIPLETS!!! We are constantly saying there is never a dull moment when we go to the farm and today was no different. 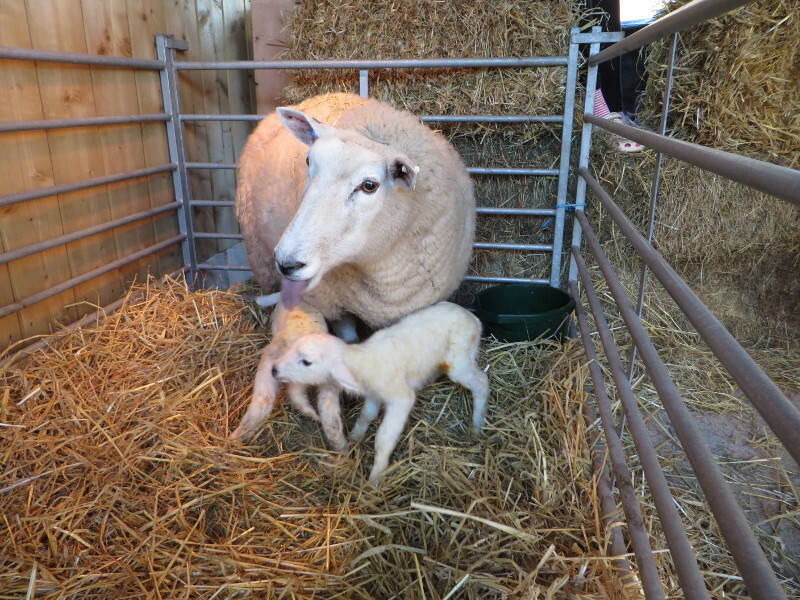 At approximately 4pm this afternoon two beautiful Lleyn lambs were born – one Ewe Lamb and one Ram Lamb. Mum is very attentive and lambs lively. More photographs posted under Sheep / Lambs. We were expecting lambs around February 24th but nothing had appeared. 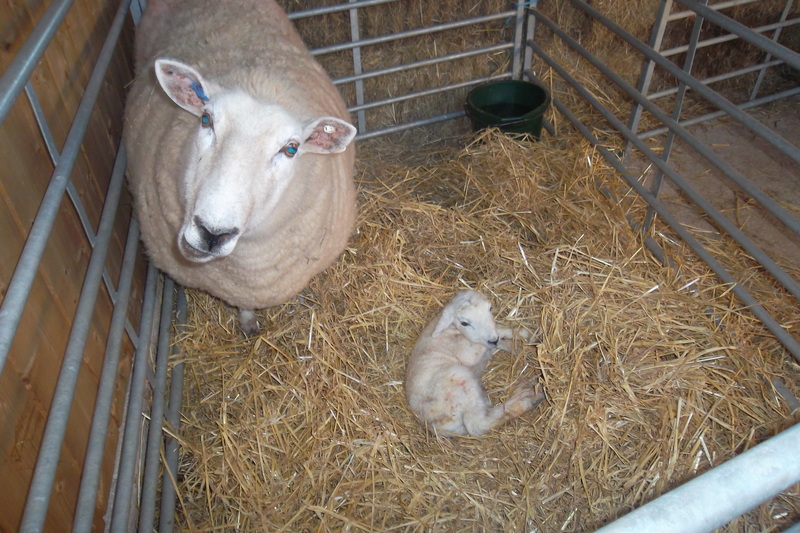 Normally we would know to within a day or two when an ewe will lamb but our first ewe clearly did not get ‘in lamb’ when we thought she did.